Join us on Wednesday 19 June 2019 at Olympia London - meet with up to 60 exhibitors, attend a series of free talks and get free CV advice. Click here to register now and book your free place! Come along to meet with up to 70 graduate recruiters from a variety of industries. Network with recruiters and find out about, and even apply for, graduate schemes, immediate roles, internships, and volunteering opportunities. Brush up on your interview technique and perfect your CV in free workshops and presentations. 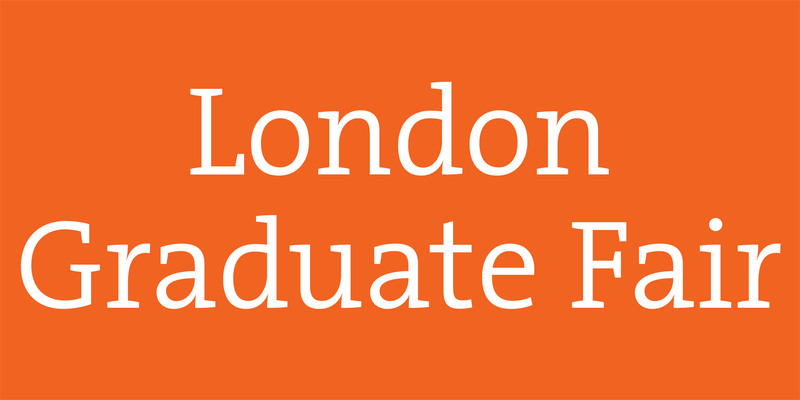 Find out about the graduate recruiters exhibiting at the London Graduate Fair. Find out everything you need to know about getting your ideal graduate position with our range of free talks from expert professionals. The fair isn't just about finding your perfect graduate job! Speak to our consultants for expert CV advice. There are many exciting roles available from sectors you may not have previously considered or companies you haven't heard of. Come along to meet organisations and kick-start your graduate career.